Painted on #10 canvas, they are primed on both sides for durability. My stencil designs are hand cut for originality and are based on historical, traditional, and modern designs. I take care to make sure that every stencil is sharp, to ensure fine lines in graphics. 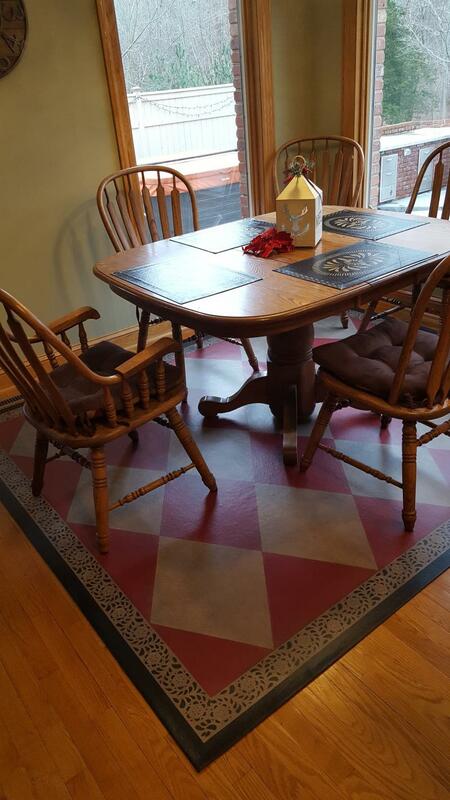 The floorcloth can also be treated with an antique or distressed finish for an aged appearance. All of our floorcloths are protected with many layers of polyurethane, making them extremely durable. Edges are neatly cemented so that they lay perfectly flat. 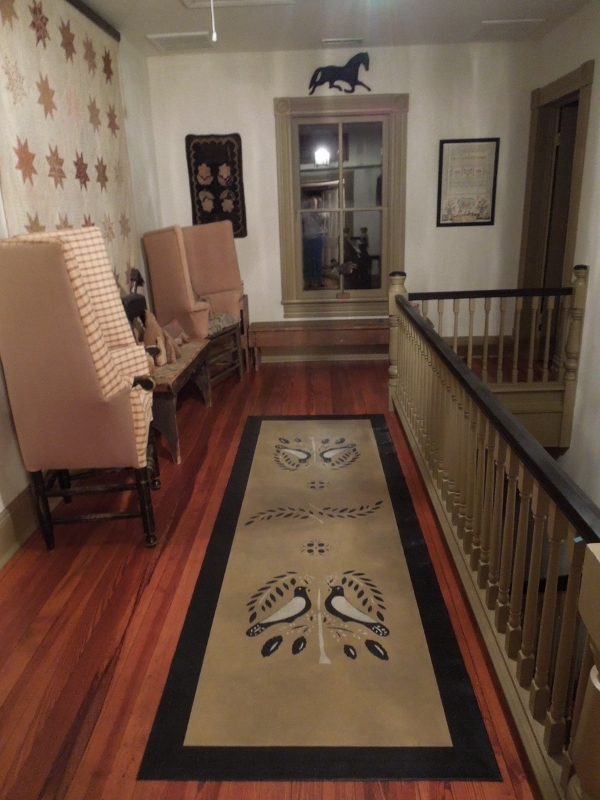 The work is authenticated as an original, as I sign and date each floorcloth on the back at completion. We appreciate your interest and look forward to you contacting us with your unique requirements. Custom orders and Inquiries always welcome.